With the Eastern Conference Championship set to begin Friday, April 20, WHL.ca provides a look in at each of the four head-to-head matchups across the league. With a general introduction, vital statistics and keys to the series, we’ve got everything you need to know heading into the 2018 WHL Playoffs. While the usual suspects are known, our ‘Players to Watch’ section will take a deeper dive into some of the supporting characters set to take on a big role in the post-season. Finally, we close each of our series previews with a quick look to the past for a brief historical take on the rivalry that exists – or stands to ignite. In our second of two Conference Championship previews, we’ll examine two teams intertwined by a significant deal at the 2018 WHL Trade Deadline and decades of history as the Swift Current Broncos prepare to play host the Lethbridge Hurricanes in the Eastern Conference Championship! Old meets new in the 2018 edition of the Eastern Conference Championship. The Swift Current Broncos and Lethbridge Hurricanes will meet for bragging rights and the Eastern Conference banner. 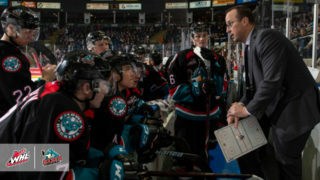 It’s the first time since the 2011 WHL Playoffs that the Eastern Conference Championship that a division winner from the regular season won’t make an appearance in the series. As they’ve continued to do all year, the Swift Current Broncos have been a team with one of the best lines in the league featuring captain Glenn Gawdin (Calgary Flames), Tyler Steenbergen (Arizona Coyotes), and Aleksi Heponiemi (Florida Panthers). The trio combined for 245 points (131G-214A) during the regular season and have accounted for 56 points (19G-36A) in the first 14 games of the 2018 WHL Playoffs. 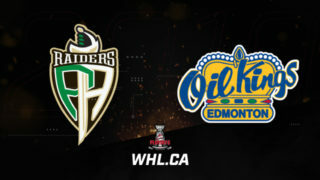 Facing off against them are the trio of Hurricanes forwards in WHL Playoffs leading scorer Brad Morrison, captain Jordy Bellerive (Pittsburgh Penguins), and Taylor Ross. The trio has 52 points (28G-24A) in 10 games and will stand to challenge the Broncos’ top line as well as the Broncos’ defence. In net, two players who were swapped at the WHL’s Trade Deadline will go head-to-head as Stuart Skinner (Edmonton Oilers) mans the crease for the Broncos and Logan Flodell protects the pipes for the Lethbridge Hurricanes. Regardless of how much the pair have played against each other, they’ve been intertwined because of that trade and because of where both teams have gone since that day, meeting up in the same point Friday for the start of the Eastern Conference Championship. There is also the matter of team history. The Broncos used to play in Lethbridge and even defeated the Calgary Wranglers, who soon became the Lethbridge Hurricanes, on their way to winning the 1983 Ed Chynoweth Cup. The series will begin with Game One and Two at the Innovation Credit Union i-Plex in Swift Current Friday, April 20 (7:00 p.m. PT) and Saturday, April 21 (7:00 p.m. PT) respectively. Things will then shift to the Enmax Centre in Lethbridge, Alta. for Games Three and Four on Tuesday, April 24 (7:00 p.m. PT) and Wednesday, April 25 (7:00 p.m. PT) respectively. 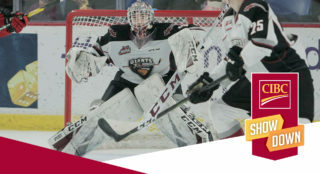 Game 7* – Tuesday, May 1 – Innovation Credit Union i-Plex – Swift Current, Sask. – 7:00 p.m. Swift Current Broncos head coach Manny Viveiros. Block out the haters: Plenty will be said about the trade between the Lethbridge Hurricanes and Swift Current Broncos that brought Stuart Skinner (Edmonton Oilers) and Giorgio Estephan to Speedy Creek in January while sending Logan Flodell and Logan Barlage, among others, to southern Alberta. What’s done is done and while there has to be a winner from each trade, both teams have each gotten a bit of what they wanted. Swift Current has a stocked forward arsenal that has been hard to beat during the 2018 WHL Playoffs (ex: Game Seven vs. Moose Jaw). Lethbridge has had a nice long run thanks to key contributors with one eye on the future at the same time. All that matters now is how the next seven games play out. Head coach Manny Viveiros will have his players dialed in and focused on winning the four required games to keep them on their path of reaching the 2018 MasterCard Memorial Cup. Turn the tables on the road: For the first time in the 2018 WHL Playoffs, the Lethbridge Hurricanes won’t have the luxury of starting the series at home, taking to Saskatchewan this weekend for Games One and Two of their series. Given that they’re 2-2 on the road in the playoffs, getting at least a split from the first two games could be enough of a win to give them all the edge they need in the series. The Regina Pats and Moose Jaw Warriors found ways to pick up clutch victories in Speedy Creek when needed and the Hurricanes need not be intimidated by what is sure to be a packed atmosphere at the Innovation Credit Union i-Plex. If the Hurricanes can head back to Lethbridge tied or up in the series, momentum will be on their side. C Tyler Steenbergen (10-8-18): In just four games against the Lethbridge Hurricanes, Broncos forward Tyler Steenbergen led both sides in both goals and points, recording 12 points (8G-4A) in the series. Granted, most of those came against Stuart Skinner, but the Sylvan Lake, Alta. product has proven time and time again his ability to pick apart teams with Gawdin and Heponiemi joining him on the ice. 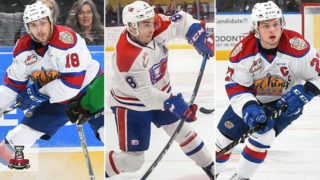 The Hurricanes have had solid defence thus far in the 2018 WHL Playoffs, but if the Hurricanes divert resources to covering a few of the many talents on the Broncos’ offensive core, another is just going to step up. If the Broncos are to win this series, you’ll be able to point from a big offensive outburst from one of Steenbergen, Gawdin, Heponiemi, Giorgio Estephan, Matteo Gennaro, Back Malenstyn etc. It could quickly become too much for the Hurricanes to handle in their own end. LW Taylor Ross (8-7-15): Offensive contributions in the playoffs can come from the quirkiest of sources. You obviously will depend on your high-end talent to carry you in each game, but it’s often a player you least expect providing a key goal or multi-point performance to push his team over the edge. Enter Taylor Ross. Acquired by the Hurricanes from the Spokane Chiefs in November 2017, Ross finished the regular season with 19 goals in 49 games with the Hurricanes, giving him 21 goals in 64 games this season. Ross will be one of the top offensive performers for the Hurricanes, entering Western Conference Championship with eight goals in 10 games. He tallied the Hurricanes’ first goal of the 2018 WHL Playoffs, and scored the series-winning goal against the Red Deer Rebels. His pace did dip from five goals in Round One to three goals in Round Two – limited to the first two games as well – but there is optimism he could play a large role in whatever success the Hurricanes have against the Broncos. Colby Sissons (2-10–12): After the team’s top trio of offensive forwards, the Broncos’ fourth-leading scorer in the 2018 WHL Playoffs is Colby Sissons (New Jersey Devils). In his team’s seven-game series victory over the Regina Pats, Sissons spread out five points over the course of the series before clustering them in the series against Moose Jaw in a pair of three-point performances. His goal against the Warriors in Game Seven also turned out to be the series-deciding goal. There’s no denying the offensive upside Sissons brings to the Broncos. Having said that, much of his contributions in the series will be judged on shutting down the top performers for the Hurricanes, who have proven to quickly tilt a series in their favour. Will Sissons be the Hurricanes’ worst nightmare in the Eastern Conference Championship? Calen Addison (3-10–13): As a stud on the power play, the Broncos penalty kill will want to be wary of Addison’s talents and his confidence to wind up from the point and put his might into a slap shot. In the season series, Addison finished tied for second on the Hurricanes in scoring with four points (1G-3A) in the four games. He had seven points in his team’s victory in Round One followed by a six-point performance in Round Two. With points in seven of his team’s first 10 games of the 2018 WHL Playoffs, there’s no doubt that Addison will be critical to the Hurricanes’ offensive success against the Broncos. Playing against the top-ranked offence in the Broncos that has only gotten stronger since the deadline, defensive responsibilities will be key as well throughout the series. Stuart Skinner (14 GP, 8-6, 2.07 GAA, .934 SV%, 4 SO): It jhas almost felt like opposite day for Stuart Skinner through Rounds One and Two. Just follow along with what we’re about to say here. In Round One, he was strong at home and struggled on the road against the Regina Pats. Then in Round Two, he performed incredibly on the road and suffered a pair of defeats at home, albeit in overtime against the Moose Jaw Warriors. In the season series between the two clubs, Skinner took the loss while playing with the Hurricanes in Swift Current and took a loss while playing for the Broncos in Lethbridge. Skinner is a competent goaltender and has arguably been one of the best in the 2018 WHL Playoffs save for that Carter Hart guy in Everett, something validated by his play in Round Two. The rosters for both teams have changed dramatically since Jan. 10 and most of the players who made Skinner’s life hard in the first three games of the season series are now doing anything and everything to keep the puck out of his net. His matchup against Logan Flodell will be interesting to watch, regardless of how it plays out and should ultimately benefit the fans more than anything. Logan Flodell (10GP, 8-2-0-0, 2.77 GAA, .910 SV%, 2SO): At the beginning of the 2017-18 WHL regular season, it looked like Flodell might be the unsung hero for the Broncos in their pursuit of another Ed Chynoweth Cup. Some mid-season struggles not uncommon to the league’s elite goaltenders led to the Broncos making their now famous trade with the Hurricanes. It’s safe to say that whatever wasn’t working at that point with the Broncos has played out in spades with the Hurricanes. In fact, Flodell has served as the winning goaltender in all four games of the season series between the two clubs, winning three times with the Broncos and once with the Hurricanes. He has a 4-0-0-0, 2.00 goals-against-average, .950 save percentage, and one shutout. As strong as the Hurricanes have been offensively during the 2018 WHL Playoffs, Flodell has quietly delivered one of the most consistently strong performances of the post-season. The 1982-83 Ed Chynoweth Cup Champion Lethbridge Broncos. WHL Archives. On so many other occasions, the Swift Current Broncos have found themselves on the cusp of reaching the Eastern Conference Championship. There was last year’s battle that took them right up to Game Seven of Round Two against the Regina Pats, a six-game loss to the Calgary Hitmen back in 2008 and a five-game loss to the Brandon Wheat Kings in 2002. 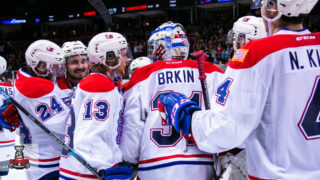 Having only reached the Eastern Conference Championship four times in their history before this year, their record in those series is a solid 3-1, with a perfect 3-0 record in WHL Championship Series. They’d obviously like to see that trend continue and take a shot at breaking a long-standing record in the process. The Broncos’ Ed Chynoweth Cup victory in 1993 represents the last time a WHL Championship was awarded to a club from the province of Saskatchewan. 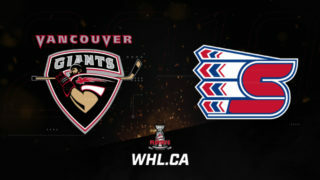 In a year where the 100th edition of the Mastercard Memorial Cup will be played in their province, just a few hours east on the Trans-Canada Highway, the Broncos would love nothing more than to capture both trophies to end province-wide droughts for both championships that have existed since 1993 and 1989 respectively. The 1996-97 Ed Chynoweth Cup champion Lethbridge Hurricanes. Through their first 10 games in the 2018 WHL Playoffs, the Lethbridge Hurricanes are averaging 5.1 goals-for per game against their opponents. The last time the Hurricanes averaged more than four goal for per games in the WHL Playoffs, it led to them lifting the Ed Chynoweth Cup for the first and only time in franchise history back in 1997. Now, just because you score a bunch of goals doesn’t mean you’re destined for success, as it’s essential to limit your opponent’s chances at the same time. Allowing three goals per game during the 2018 WHL Playoffs has gotten them through Rounds One and Two, but can they continue to stay on their game against one of the conference’s best teams? Time will tell over the next four to seven games.